As school visits with our scholars start winding down and I prepare to write mid-year student reports, I can’t help but admire our scholars. The range of questions that my students have posed and the scenarios we have worked through together is extraordinary. I’ve had several middle school students ask, “Am I being true to myself?” when their peers have questioned their newfound confidence or opinions. 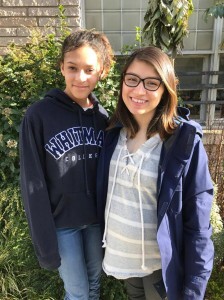 And a few ninth graders reveal, “I don’t know how I’ll get to and through college,” having become disillusioned with the lack of support both at school and at home. With the political and social climate that we’re experiencing right now, I often wonder how our scholars are negotiating their identity at school, at home, and in the community while trying to make sense of the world. From what I gather in my monthly school visits, our scholars appear to be at a crossroads: Do I remain indifferent and impassive to my surroundings or is this my call to action? In other words, what is my responsibility? And, ultimately, who am I responsible to overall? To some scholars, this isn’t even a question. Students like Josiah King, ninth grader at Raisbeck Aviation High School, took it upon himself to initiate courageous conversations with students and teachers about post-election results. Ana Medina-Sanchez, an eighth grader at Sylvester Middle School, actively participated in the Seattle Womxn’s March and the Immigration Protest at Sea-Tac Airport alongside her mom and sisters. At the other end of the spectrum are students who are simply trying to get through the ‘wonder years’ and find themselves questioning friendships to experiencing an existential crisis. 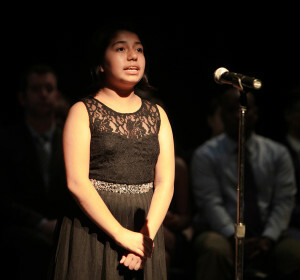 Raven Beavers, seventh grader at Seattle Academy, often makes note of the class disparity in the student body at her school and resolves this will not obstruct her determination to give her best self. 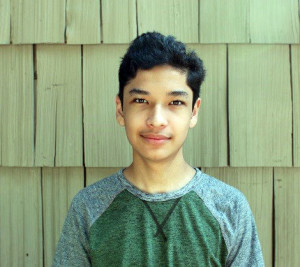 Students like Juan Morales, a ninth grader at Kennedy Catholic High School, shared that he’s interested in analyzing Plato’s Allegory of the Cave hoping that it will answer some of his questions about life and humanity. Like any of us, our scholars are still trying to find their way and figure out what’s most important to them. As we become more resolute in our personal mission and values as adults, students are still developing their abstract thinking skills and need a predictable and safe environment so that they can continue to risk, explore, and grow. I am happy to be that sounding board and guide when they need it along with my fellow staff members at Rainier Scholars. It is a privilege. When the going gets tough we are ready to be there for them. To offer advice and reaffirm the values that we hold close — excellence, perseverance, integrity and courage. And to remind them that our community will support and walk with them on their journey forward. Our scholars unknowingly remind me of how remarkable they are every day. With early college acceptances, incredible grades or even taking time to go the extra mile to help a staff member or friend, they are special. And I know they will rise to greater understanding and to accomplish their dreams no matter what challenges lie before them.